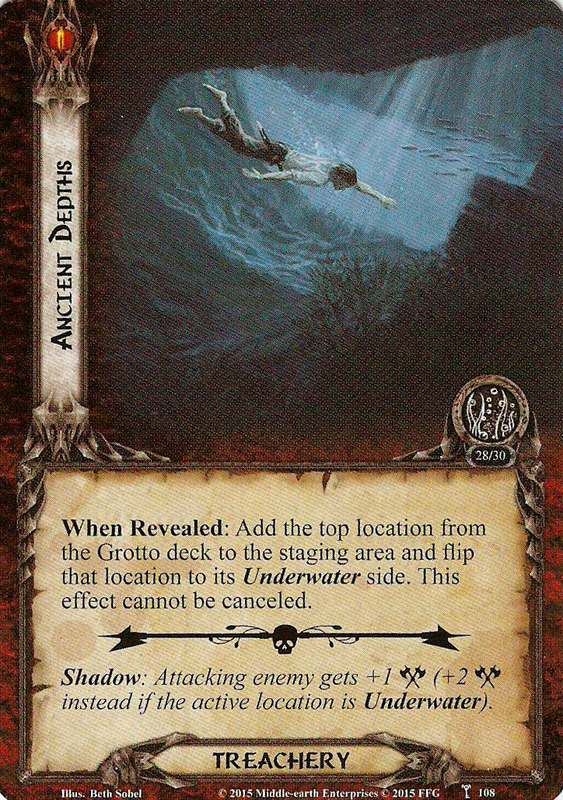 When Revealed: Add the top location from the Grotto deck to the staging area and flip that location to its Underwater side. This effect cannot be canceled. Shadow: Attacking enemy gets +1 (+2 instead if the active location is Underwater). ).